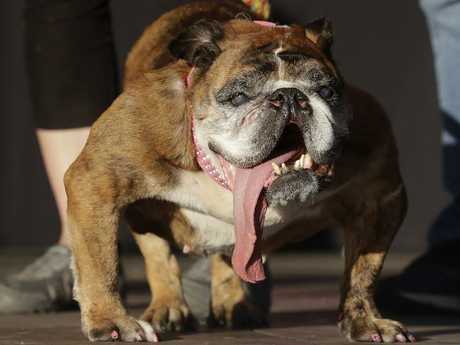 AN English bulldog with an underbite and muscular, rounded front legs won the 30th annual World's Ugliest Dog contest in California on Saturday night. 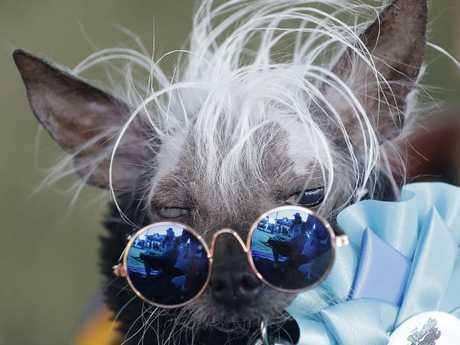 The 9-year-old winner, named Zsa Zsa, was found via a pet-finding site by owner Megan Brainard of Minnesota in the US, according to a biography supplied for the contest. 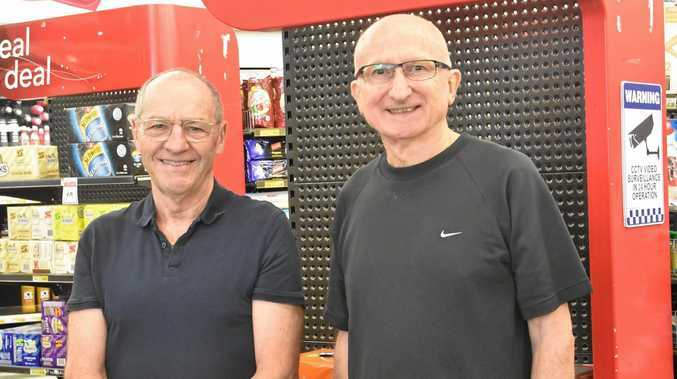 Brainard will receive $US1500 for Zsa Zsa's victory. 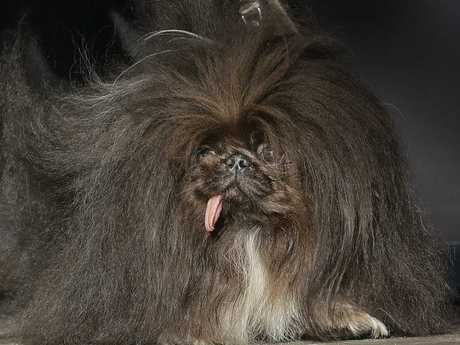 The cuddly competition, which helps organisers publicise that many pets are available for adoption, allowed owners to flaunt the imperfections of their dogs. It was held at the Sonoma-Marin Fairgrounds in Petaluma, Calif., north of San Francisco. "It's a fun and silly way to advocate that all animals deserve a safe and loving home," said Christy Gentry, a spokeswoman for the Sonoma-Marin Fair, in a release. 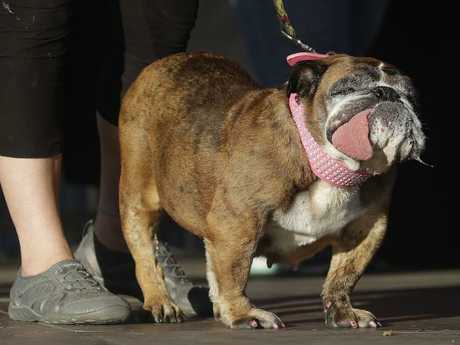 Some of this year's contestants had hairless bodies, others had lolling tongues. The dogs and their handlers walked down a red carpet, as a panel of judges evaluated them. 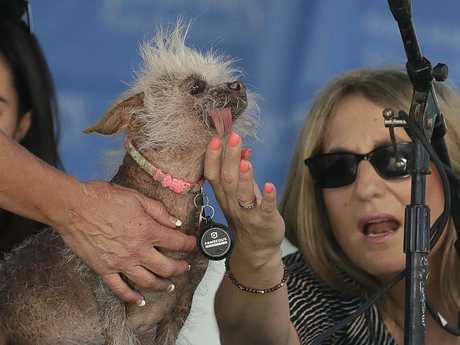 Others vying for the title included a blackhead-covered Chinese Crested-Dachshund mutt, a bulldog mix with excess wrinkly skin and a Pekingese named Wild Thang. 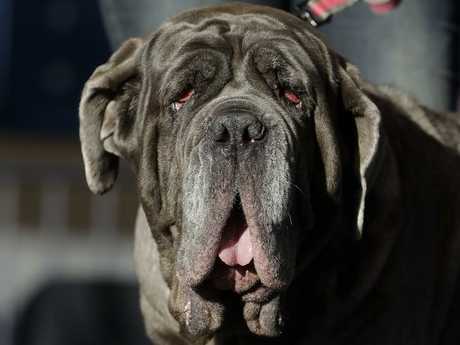 A 55kg gentle giant Martha, a Neapolitan Mastiff with gas and a droopy face, won last year's competition. The contest is usually held on Friday nights, but organisers moved the competition to Saturday in an effort to draw a bigger audience.